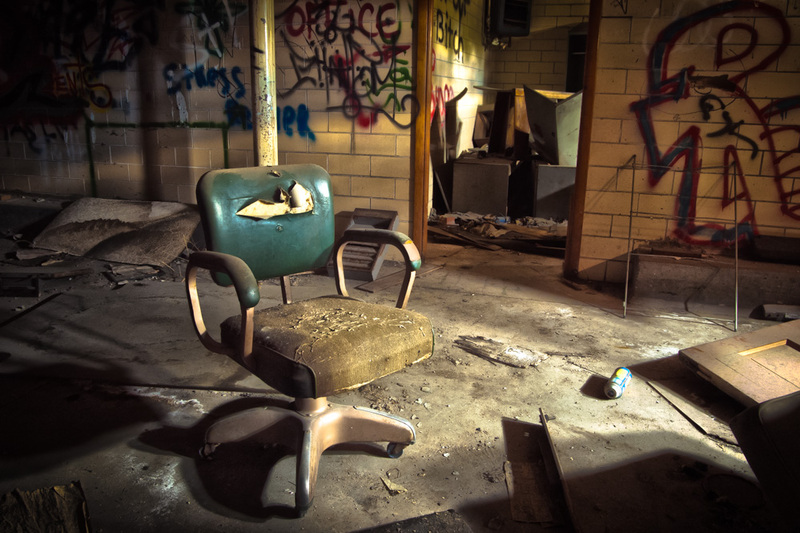 I don’t think the doctors office is open for visitors… The remains of furniture and paper work litter the nurses station, decades of visitors and upheaval have left this part of the sugar mill in very bad shape. 110,000 square feet of factory space was worked by thousands of employees. Many were exposed to everything from corrosive lime (used to clean beet pulp) to ground coal that powered the massive furnaces. I’m guessing this chair has seen a few of the injuried. In other words, a place that gives chills. I think, that is better to find another doctor. I love this shot. The beauty that can be seen in our cast-offs.